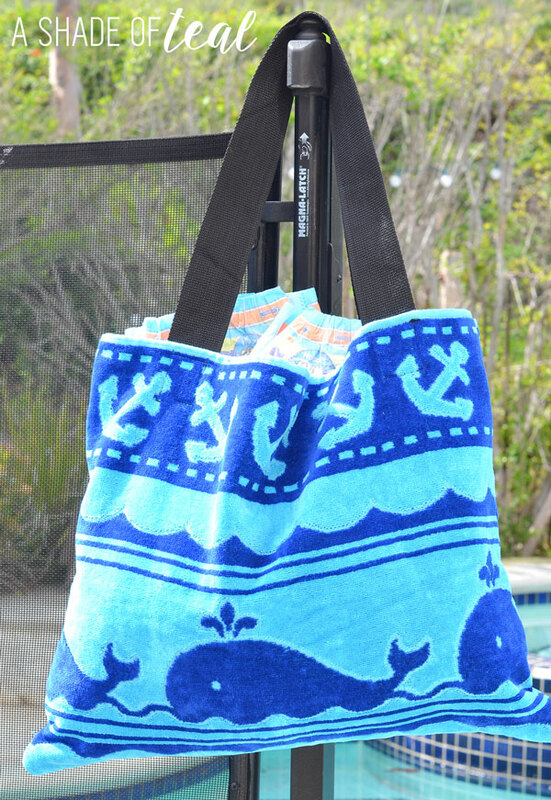 Here in California its already time to break out the pool and beach supplies since the weather is warming up. My family loves the water especially the ocean. While pulling out my supplies I noticed I was in desperate need of a new beach bag. Of course I could’ve purchased one but I knew I wanted something unique. So why not make it! So I stopped by my local Sam’s Club to find some new beach towels and pick up some swimmer diapers for my daughter. I tend to walk every aisle since their products change with each visit. While in the kids/baby section I found these cute Huggies® Little Swimmers® Disposable Swimpants. My daughter stopped me in my tracks since she insisted pointing out the special Finding Dory packaging. Since we have a pool and our daughter is not potty trained yet, we still reply on swimmer diapers. I was so excited to see them offered at Sam’s Club since they always have great deals. 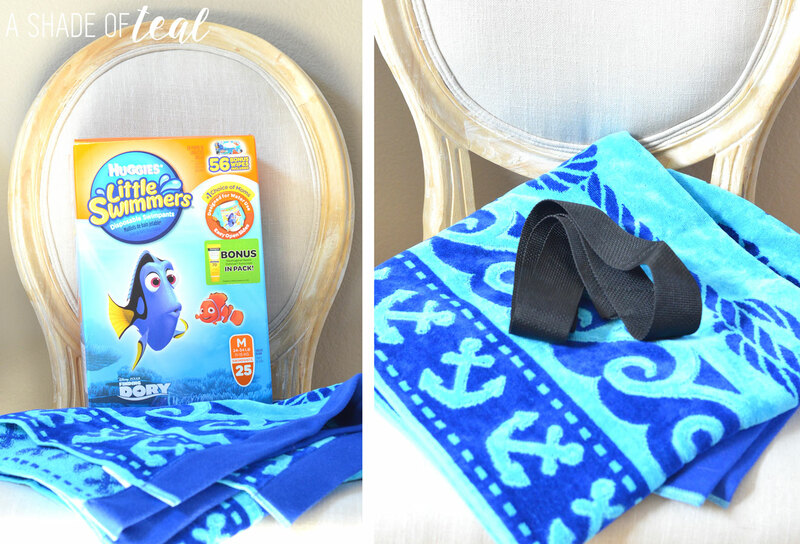 I personally love and only recommend Huggies® Little Swimmers® because they fit my daughter great and they have easy open sides that make putting them on and off a breeze! Another great feature is that they are fragrance free. This is really important to me since both my daughter and I have sensitive skin when it comes to fragrances. Plus, she’s so excited that they have Finding Dory on them. Back to the beach bag! 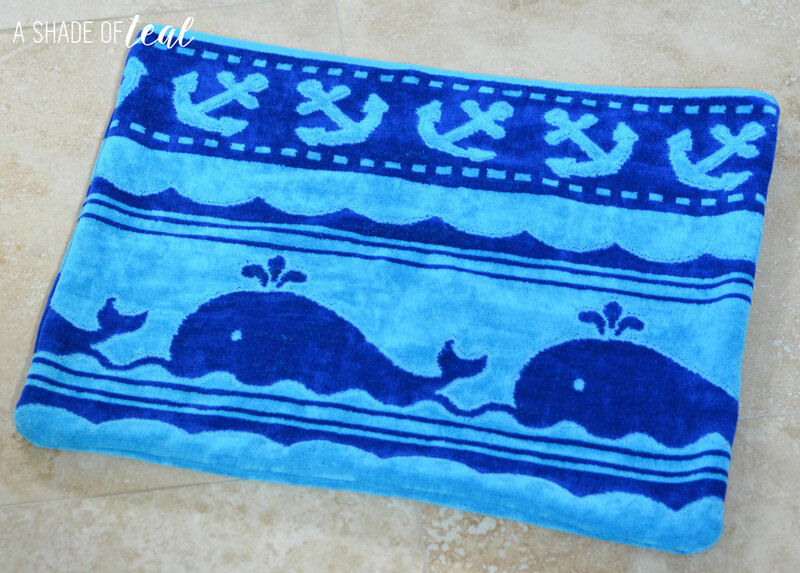 I thought turning a fun beach towel into a beach bag would be a great DIY project. 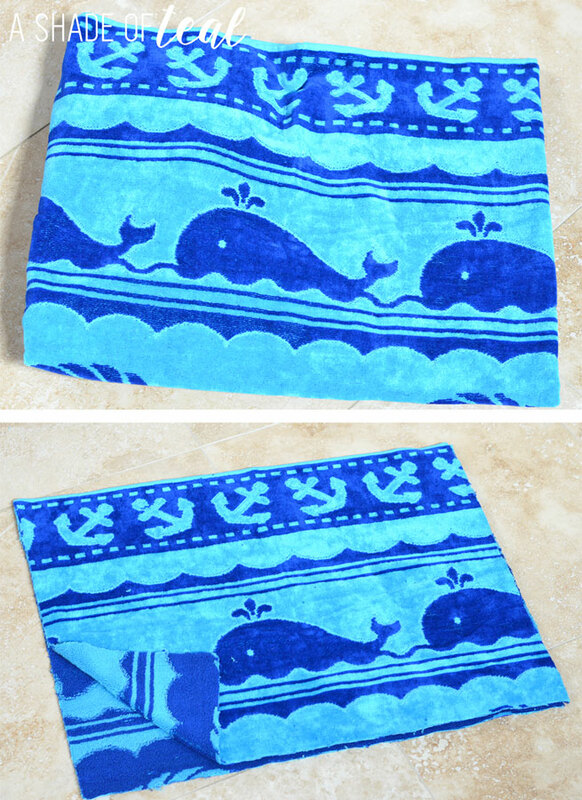 So I also picked up a new beach towel. First take your towel and figure out where you want to cut it. I made my bag 20″ wide x 16″ tall. Once I figured out the pattern I wanted shown I cut the bag. Make sure you leave an extra 1/2″-1″ for the seam allowance. Then reverse the fabric so the inside is facing out on both sides of the bag. Then start sewing all around the edges leaving the top alone. I then trimmed the excess seam allowance. You can turn the bag inside out to see your progress. Next, take your strap and cut it in half, so each side will have a strap length of 30″. You’ll then need to place it where you want it and pin it in place; I placed each strap about 3 1/2″ away from the edge. I also placed each strap 3″ down. Finally, sew each strap into place. I did a box stitch and made sure to sew back and forth a couple times to make sure it was secure. 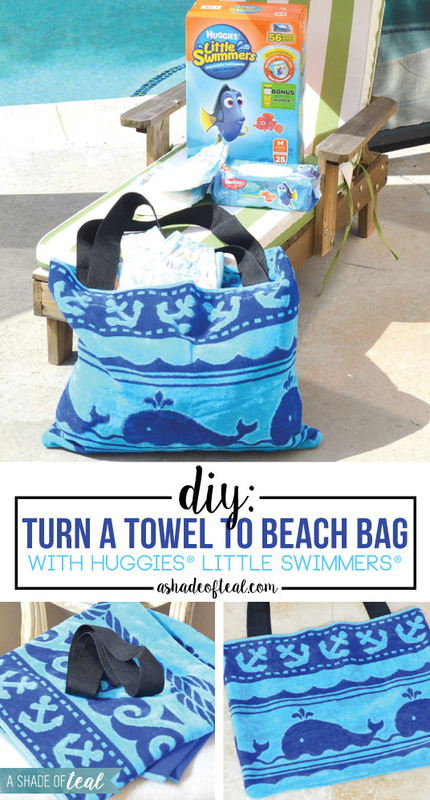 That’s it, you’ll have a quick and easy DIY Beach Towel Bag! 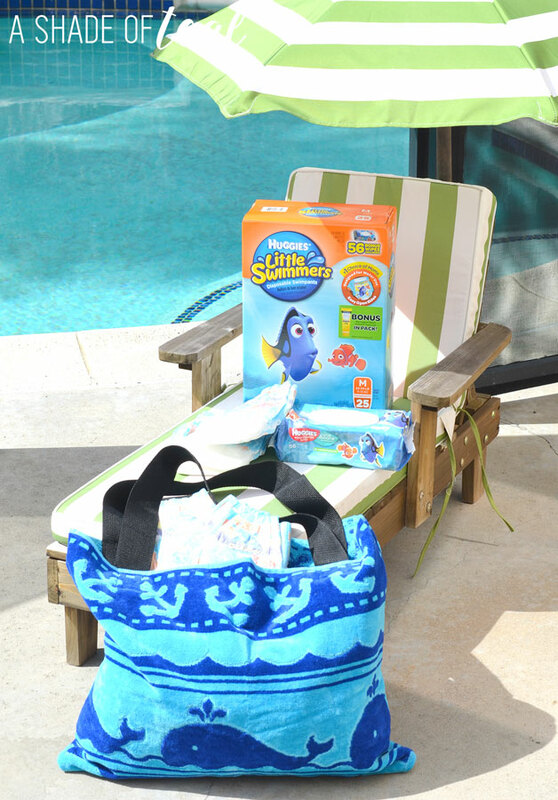 Its the perfect size to fit everything you need; sunblock, snacks, toys, Huggies® wipes, and your Huggies® Little Swimmers® Disposable diapers. Now to put this bag to use! 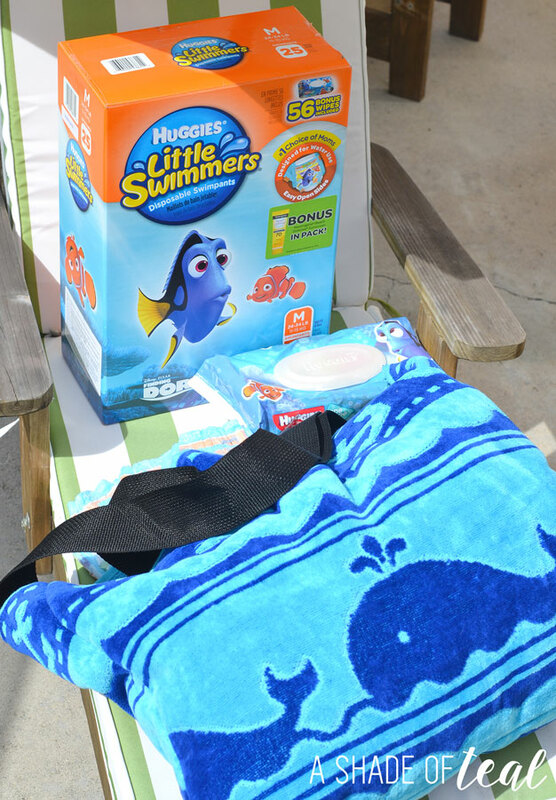 My daughter bugs me every day since purchasing the Huggies® Little Swimmers® to go into our pool. 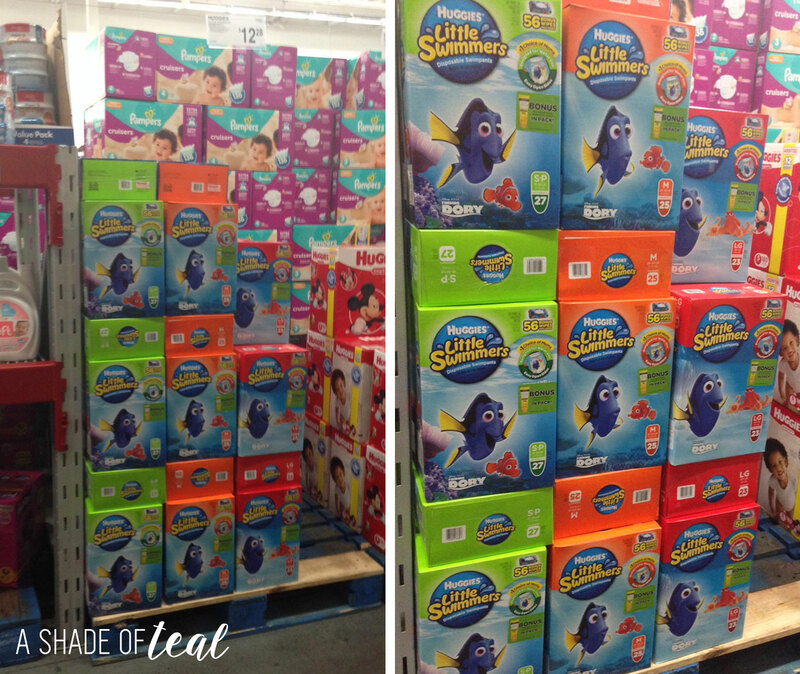 Sam’s Club and Huggies® Little Swimmers® are having a contest right now where you have a chance to win one of 5 $1000 Sam’s Club Giftcards! You don’t want to miss this. So, take a picture of your upcoming summer moment and share with the hashtag #SwimAdventureContest. Or upload the picture directly HERE. The contest runs from February 1, 2016 through June 1, 2016, so enter today! Are you ready for warmer weather? Do you have any upcoming summer projects in mind? Leave me a comment, I’d love to hear them! What a super cute idea! Pinning! I absolutely LOVE this idea!! 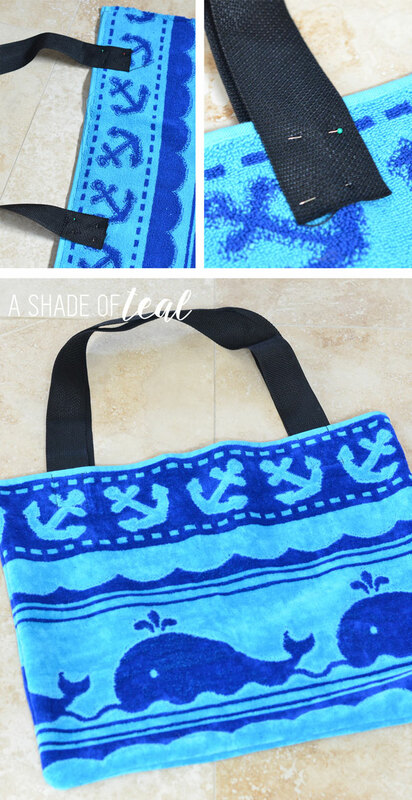 We’ve been needing a beach bag for going swimming and to the splash pad. Pinning so I can plan a project day!